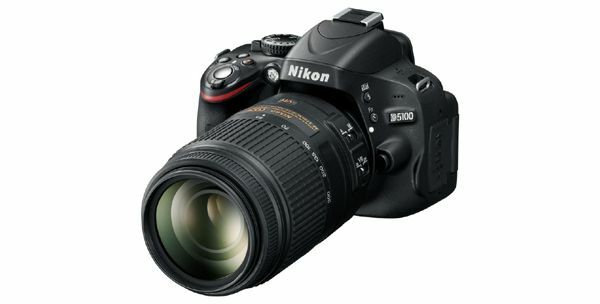 Nikon has launched a new dSLR, the Nikon D5100. Bearing a 16.2MP DX-format CMOS image sensor with an EXPEED 2 image-processing engine, the Nikon D5100 is one of the cheapest entry level dSLR offerings from a major brand – priced at Rs. 34,450. The Nikon D5100 has a 3-inch super sharp 921K dot Vari-angle LCD onboard, and for video buffs, delivers a full 1080p HD video recording experience at 30 fps, complete with full-time autofocus. As an offering for prosumers, the camera has a wide range of electronic features more common to point-and-shoot cameras, as well as a Special Effects mode for both videos and stills – a first for a Nikon dSLR. The complete Nikon D5100 kit for Rs. 39,950, with a AF-S DX NIKKOR 18-55mm f/3.5-5.6G VR lens included. HDR functions are enabled, and, it has standard sensitivity settings ranging from ISO 100 to 6400, with a boost using Hi 2, up to ISO 25600 (equivalent). The Nikon D5100 also supports the add-on stereo microphone ME-1, rounding it up as a versatile entry-level dSLR, both as a still and video camera.The Nikon D5100 is sold with a DSLR bag and a 4GB card as part of the standard equipment.